For the most current and up-to-date info from Hopkinton Emergency Management, please view one of our Social Media sites on Facebook and Twitter. The Town Of Hopkinton Emergency Management Agency is looking for volunteers to assist with a variety of duties to help the community. Satisfaction knowing ou are helping your community. Learn how to assist your family and neighbors during a disaster. Working in the emergency operations center. Assisting in Department of Health vaccination clinics (emergency and routine). Working in our regional Red Cross shelter at CHARIHO. Public relations events and more. Contact the Emergency Management Director at 401-377-2100 or email: ema@hopkintonri.org and leave your name and contact information. Click the links below to download the application forms. The Rhode Island Department Of Health Emergency Plan Workbook. The Rhode Island Department of Health(HEALTH) and the Rhode Island Emergency Management Agency (RIEMA) have joined together to develop a registry for Rhode Islanders with disabilities, chronic conditions, and other special healthcare needs. This system is designed to identify individuals who require special assistance during emergencies. Enrollment in the Registry does not guarantee assistance, but allows first responders to appropriately plan for, prepare for, and respond to the needs of the community. Use the information below to help you during any disruption of vital services including loss of power or communications. Blankets or sleeping bags and extra clothing. Have a credit card or small amounts of extra cash on hand. Minimize the use of flammable heat sources inside the house – including candles and oil lamps. Store and use flammable fuel outside. Make sure your vehicle has at least a half tank of fuel. Check on relatives, neighbors and the elderly. Make sure your disaster kit is maintained for future unforeseen events. 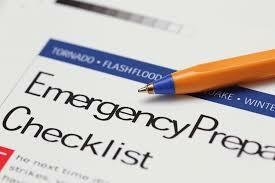 These guidelines will aid you in being prepared for any future emergency that may occur. While widespread disruptions in services will not happen in most emergency situations, it is wise to include preparedness and self sufficiency for any potential emergency. Want more information about Code Red Emergency Notification System?